If you're looking to do some serious online shopping this holiday season (Cyber Monday, anyone? ), LastPass helps reduce the frenzy, so you can easily pay for the items in your cart and move on to other things on your TO-DO list. Our "Form Fill" feature simplifies the shopping process by filling registration, shipping, and billing forms with one click! In this post we'll take you through setting up profiles for maximum efficiency, including how to use the mix & match option for simplified autofilling. 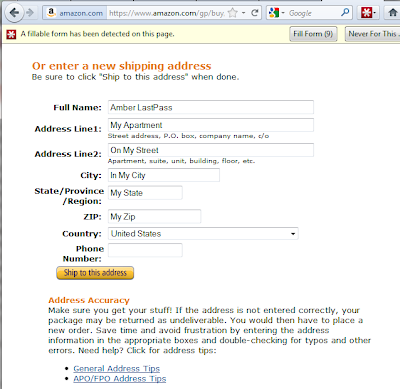 Let's get started by setting up a form fill profile, such as a profile for your shipping address. 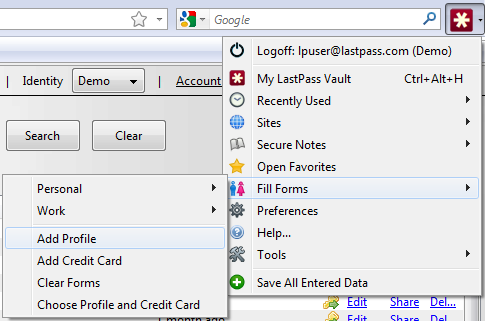 Click on your LastPass Icon, select "Fill Forms" from the menu, and choose "Add Profile". A dialog will open, where we can enter our name, address, birth date, and other information we might be required to enter in a shipping form when checking out online. Name the profile something memorable so you know when to use it, like "Bob Home Shipping". 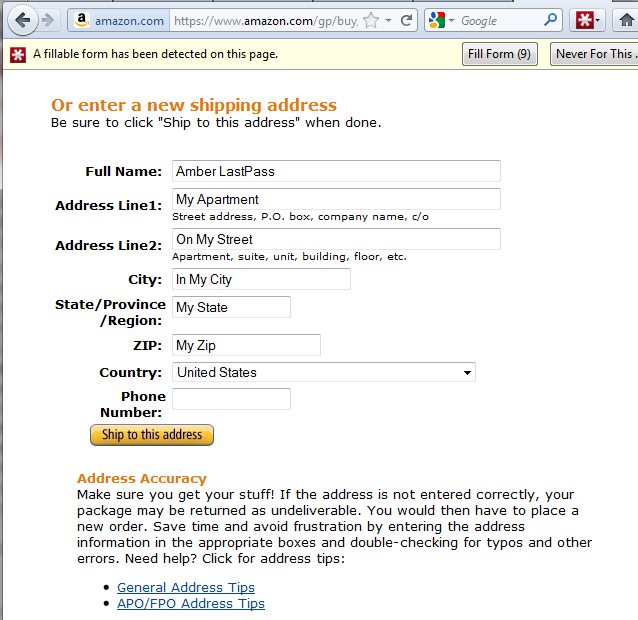 Create a profile for each combination of name and shipping or billing address, labeling them as you go. You may want a "Work Shipping", "Home Shipping", and more, depending on your needs. If some of the information overlaps, you can copy a Form Fill profile by selecting your LastPass Icon, then "Fill Forms", selecting a specific profile, and choosing "Copy". A new profile dialog will be opened with information from the profile already filled in - this reduces the amount of duplicate information you'll need to enter when creating your profiles. 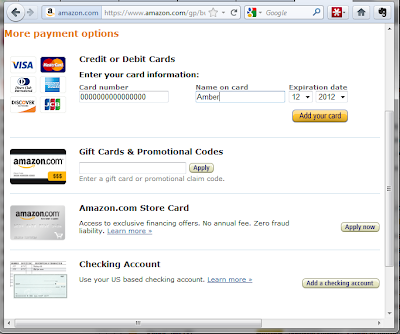 You'll notice there's a credit card tab in the profile dialog as well, but unless you always use the same profile with the same credit card, consider adding a separate profile for each of your credit or debit cards that you use when online shopping. 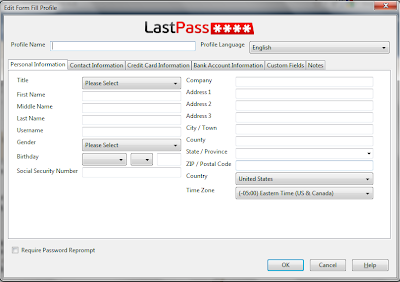 Click on your LastPass Icon, select "Fill Forms", and choose "Add Credit Card". Here you can enter your name, credit card number, start and expiration dates, and other data you may be required to enter when filling out a checkout form. You may have a profiles for a "Debit Card" or "Corporate Credit Card" - whatever will cover the range of your online shopping needs. Ok so now that you're all set up, it's time to get down to business. 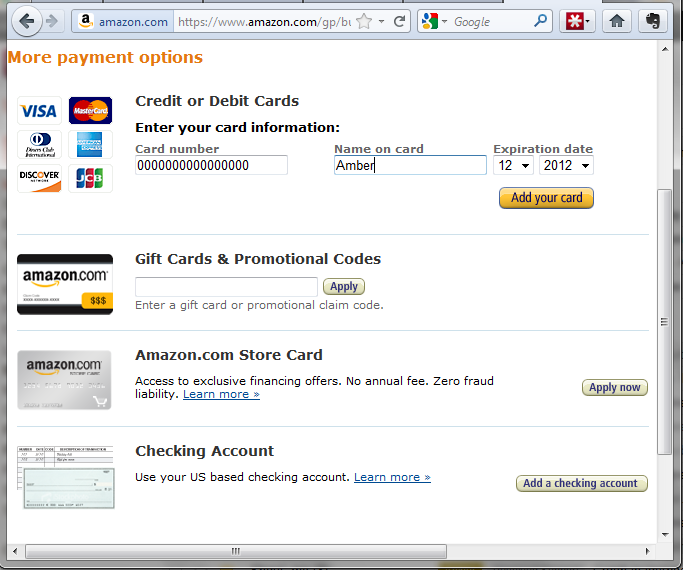 Let's head to Amazon.com to purchase the items in our cart. 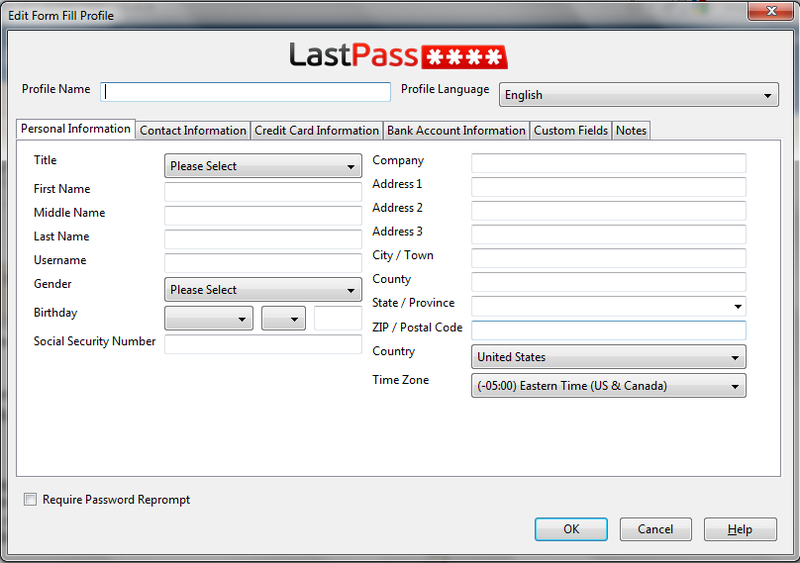 When we get to the shipping page and click on one of the fields, LastPass gives me a notification for Form Fill. We can click "Fill Form" and choose the profile we want to use for our shipping address - then LastPass autofills the data! Done! Now we're ready for to complete the transaction. Note that if LastPass does not prompt you with your form fill profiles, you can click your LastPass Icon, choose "Fill Forms", and select a profile to autofill your data. If you're on a registration or checkout form where the shipping and billing information are shown all at once (as opposed to separate pages like Amazon), our Mix & Match option allows you to quickly pair up two profiles and autofill your data. 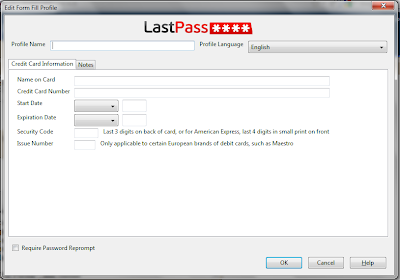 Click your LastPass Icon, choose "Fill Forms", and select "Choose Profile and Credit Card". 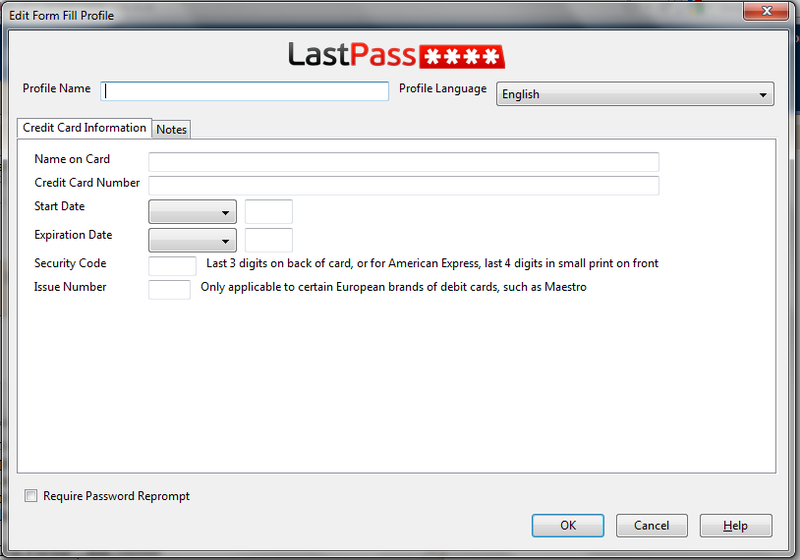 In the dialog, you can choose a profile from the left-hand side, and a credit card from the right-hand side.